What is stack in C programming ? Stack is one kinds of data structure in which you can push something and pop them reverse order. So the last added item is the first item we can remove. This is also called LIFO (last in first out) operation. When we add item in stack, it's called push operation. When we remove item from stack, is called pop operation. What is a function in C programming? Function is like some task defined in a group of instruction. If we call the function, it's do something for us and sometimes return something. For example, let's think about a factory which input some Raw material and process it, then give us some output. Like as a blending machine. We input water, ice, sugar, lemon and output is lemon juice. In a function, there is some instruction and when we call it, ti give us some result according to the instruction. Every c program must have at-least one function called main function looks like main(). There are many library functions in C, like as printf ( ); scanf( ); etc. Again we can write functions our-self. Different between compiler and IDE . Compiler is a platform or a place in which we compile our code. Which means, we write the source code using any programming language and compiler translate it into object code or binary code or computer language. Every high level language use a compiler to compile source code into computer code which is unique. We all know computer can't understand our language. So we must make our language understandable to machine and compiler do this job. 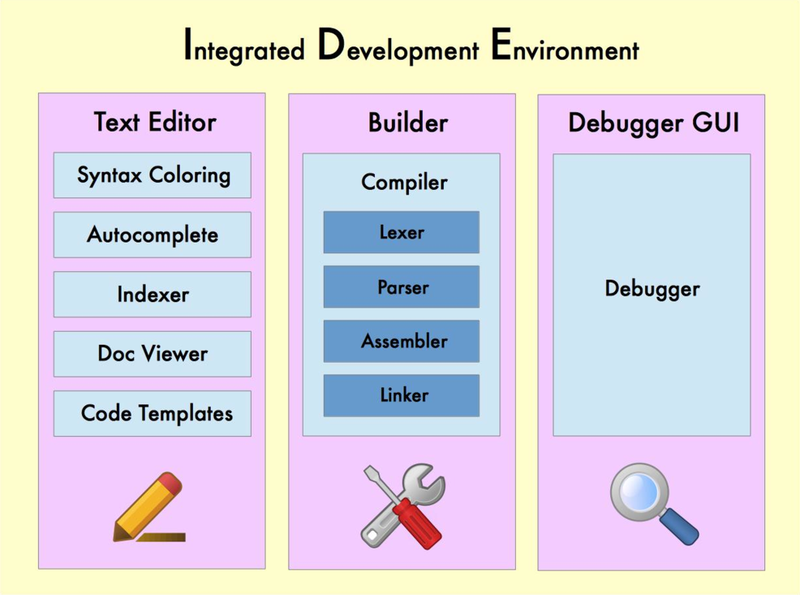 Some example / list of Compiler and IDE. There are so many Compilers and ide now a days. Why should we configure jdk ? Java is platform independent language, which means same java code or application able to run every platform like windows, linax, mac etc. Again, Java is not machine language. It's a high level language. So java can't execute directly by machine. It's execute by java run time environment. So we have to configure jdk with platform. We have to link the environment path to jdk. We can's use eclipse or any ide for java without jdk.